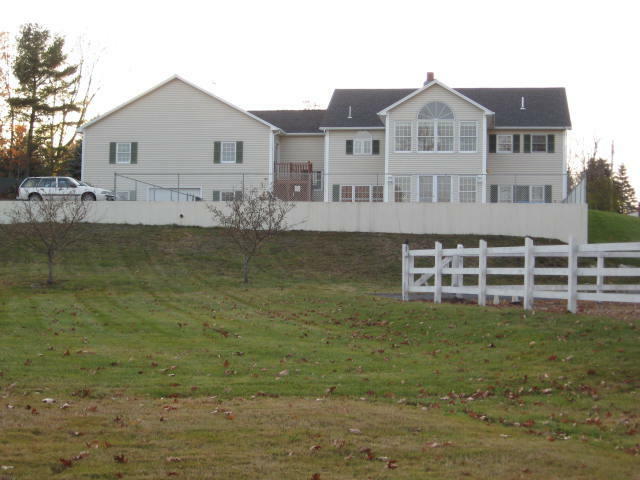 REAL ESTATE consists of a 4.86 +/- acre parcel located in Mountain View Estates. 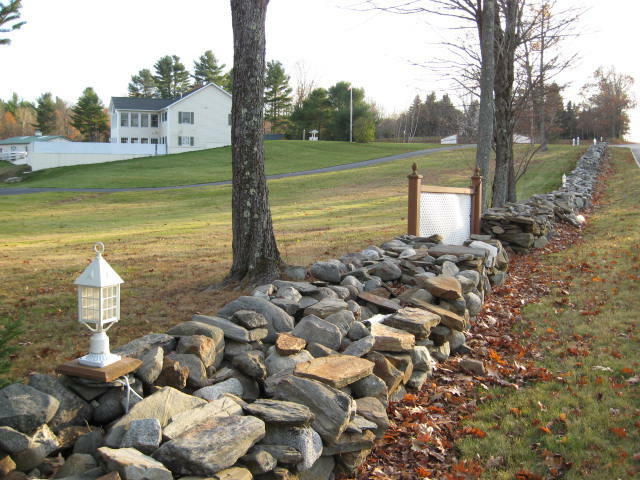 A fieldstone rock walls with accent lighting surround the parcel. Several gardens mature trees and stone landscaping accent the property as well. 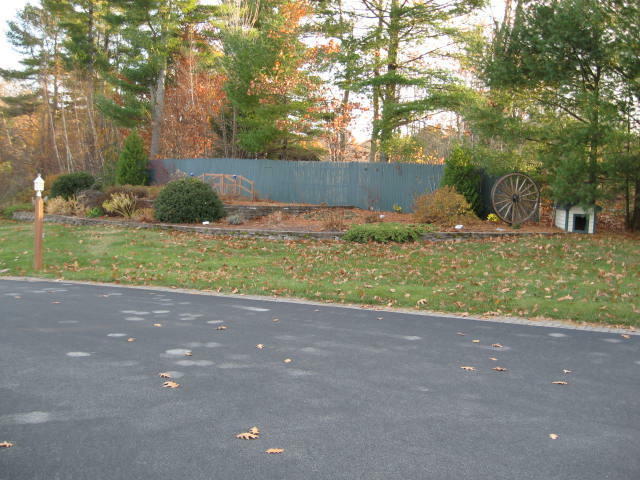 There is also a paved driveway with stone drainage along the side. 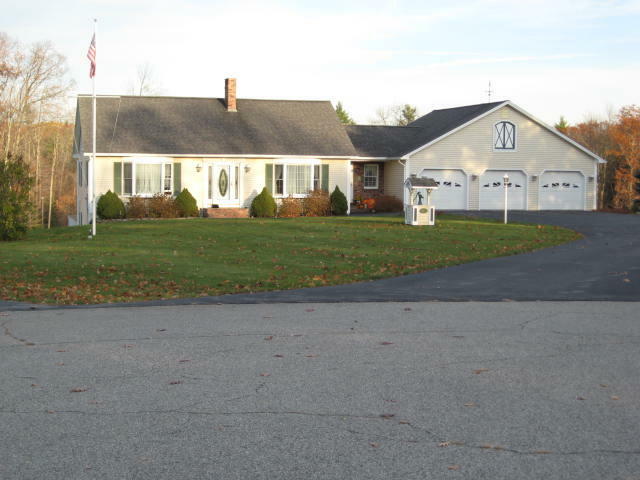 The home is a ranch style full daylight design w/ a 3-car 1 1/2 story finished garage with a gross square footage of 6,496+/-. The upper level floor of the home has 1-bedroom, a full bath, a living room with brick fireplace, mud room, laundry & utility closet, kitchen w/ Corian countertops and vaulted ceiling, and a dining room. Kitchen appliance include an reproduction antique cook stove w/ 6-burner gas range w/ digitally controlled electric oven, side-by-side refrigerator w/ lower drawer freezer, microwave oven & under counter dishwasher. The lower level has 2-bedrooms, full bath, family room w/ kitchenette, sewing room, craft room, and 1-car garage/storage area. 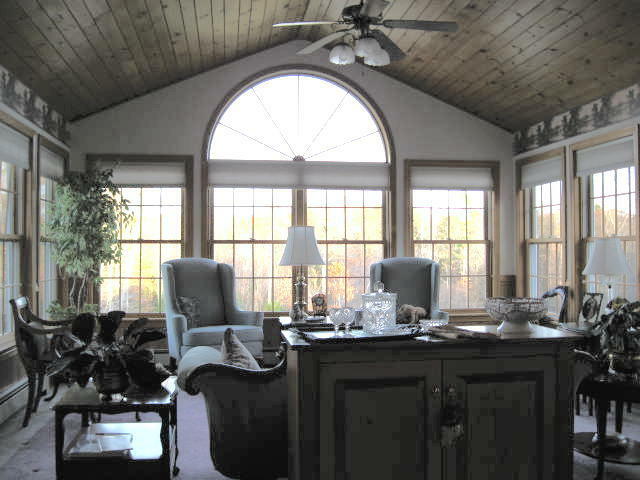 The home is designed with a year round sunroom off the dining room with a cathedral ceiling that looks out over the horse corals and back property. The same sunroom continues on the lower level and walks out to an in-ground heated pool 16' x 36' w/ heavy-duty cover. The pool area has concrete patio surrounding it with a ceramic tile area for grilling. 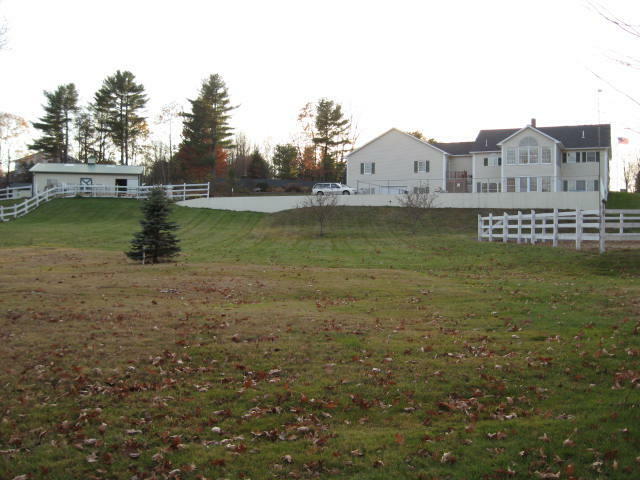 The barn is 1,296+/- sf and is metal constructed and consists of a tack room, 2-stalls and office area. There are (3) corals on the property with a paved drive to one coral. 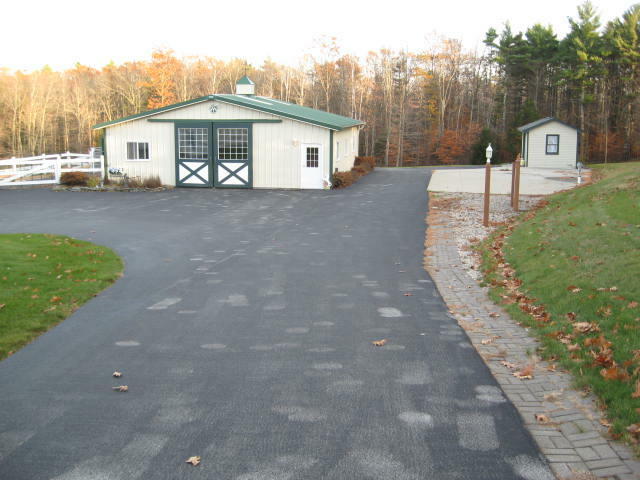 Beside the barn is a concrete RV pad with water, electrical and telephone hook-ups. 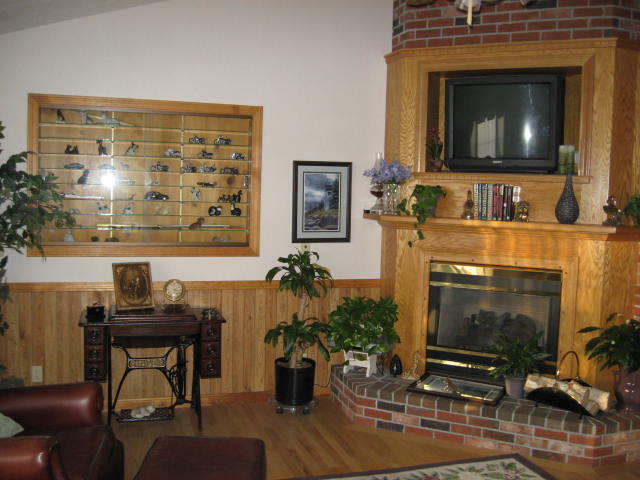 The home is heated by hot water baseboard and also has (2) propane fireplaces. A 500-gallon in-ground propane tank services the fireplaces, cook stove & outdoor gas grill. Reference Town of Standish Map 10, Lot 27. DEPOSIT TO BID: $20,000 increased to 10% of purchase price day of sale. PREVIEW DATE: Friday, November 30, 2007 from 1-3PM. Directions: From the junction of Routes 25 and 35 in Standish, right at Seavey's onto Oak Hill Rd., follow 1.1 mile right onto Mountain View Lane, to property on the right.